Did you know that you can get penguin postcards? (http://www.amazon.com/Postcards-Penguin-Hundred-Book-Covers/dp/0141044667/ref=sr_1_1?ie=UTF8&qid=1384947404&sr=8-1&keywords=penguin+postcards) I used these to make a couple framed art pieces for my house. I do!!! I want them. I've been on the very verge of buying them before and I backed out. I will have them, and I will frame them and make a wall of 'em! Hahahaha you know me too well. 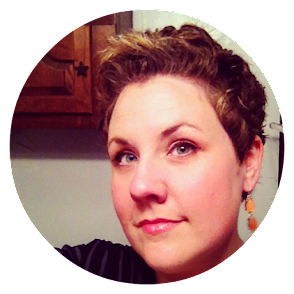 The minute I saw the title/cover photo on Bloglovin, I said, "of course" (with a smile!). LOL! I will totally treat myself to this book. I have about $40 of birthday money leftover, so this is the ticket. BookCoverHo made me laugh. I don't EVER get books for gifts. I don't have but a couple of people that give me gifts and they think they are a waste of money. I get so many of them from yard sales and thrift stores that I don't really HAVE to have the newest ones but there are a few coming out next year that I will buy for myself as soon as they release. Haha! I rarely do. People just don't know what to buy for me because I have SO many books. Plus, non-readers just don't see a book as a satisfying or worthwhile gift, I think. You said that! I just re-read and saw. Great minds. I have a hefty want list, but I'm so bad at reading books soon after they come out, I try to hold myself back. That is hilarious! I hear ya! I love so many of the Penguin designs. Surprising thing happened this year, though. I ended up with a bajillion Vintage Classics on my wishlist as well. YES!!! BookTube is at fault for my new addiction to Vintage classics. If I have the choice I usually go for the Penguin, only because I think they're slightly better made. And this sounds weird, but I like the Penguin font better. I know. That's a very "old lady" comment. lol Obviously I can't buy Penguin English Library classics in the US, but I've been pretty tickled to see an increasingly large amount of the red-spined Vintage books in my local used bookstores. I have been sooooo close to buying those postcards sooooo many times (again yesterday, as a matter of fact). I will have them! I love, love Penguin Classics covers and this book seems really interesting! Design + books + Penguin? I MUST HAVE IT. 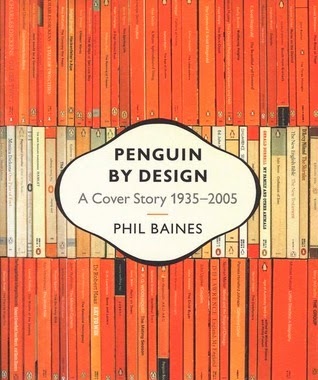 Hahaha, Penguin designs are definitely a classic. It'll be interesting to see how they've changed and evolved over the years. It's like this one was made just for you! I know! I squeed a bit. I love the Penguin stuff! I bought the Penguin postcards and send them out to people as things happen in their lives (with corresponding book titles, of course). So much fun! Gonna have those postcards. Yes ma'am. Gonna have 'em! SO AWESOME!!! Thank you for sharing your pics post! They are just gorgeous! Definitely my favorites. And a book with books on the cover sounds HEAVENLY.